Cavanaugh & Cavanaugh – Mark C. Cavanaugh Attorney will help you navigate your legal questions! Cavanaugh & Cavanaugh – Mark C. Cavanaugh Attorney offers expert bankruptcy counsel to ease your mind! 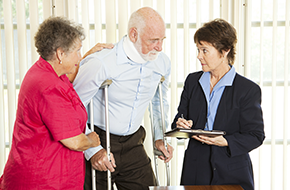 Cavanaugh & Cavanaugh – Mark C. Cavanaugh Attorney will provide skilled personal injury representation! At Cavanaugh & Cavanaugh – Mark C. Attorney, we offer quality legal services to clients in and around the greater Akron, OH area. Although we focus our practice in the areas of bankruptcy law, personal injury law, and probate law, we want to serve all the legal needs of our clients as best we can. We welcome your questions and inquiries. If you are unsure whether a situation requires an attorney, we ask that you schedule an initial consultation so we can provide you with our undivided attention and offer counsel on your options and best course of action. If you have been involved in an automobile or motorcycle accident, have experienced an on-the-job injury or were somehow injured in a place of business, a personal injury attorney can help protect your rights, ensure you receive necessary medical care, and help obtain compensation for your injuries. Even seemingly minor injuries and accidents can have long term effects, so we suggest you consult with an attorney before finalizing your claims to be certain you have considered all possibilities. 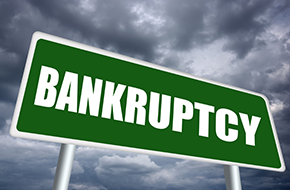 If you are struggling financially and have considered bankruptcy, we are happy to meet with you for an initial consultation to see if bankruptcy protection might be a viable choice for you. Understanding the complexities of bankruptcy law can be overwhelming, but we will evaluate your unique situation and explain the options in simple terms that you can understand, and together we will reach a decision that works for you. 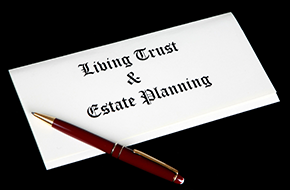 If you find yourself appointed the executor of a loved one’s will, a probate of estates attorney can help simplify the process and save you valuable time. No matter your legal issue, in the Akron, OH area, contact Cavanaugh & Cavanaugh – Mark C. Cavanaugh Attorney to discuss your unique circumstances and get expert answers to all of your legal questions!